I'm working on a Venera Venus lander model for Orbiter. 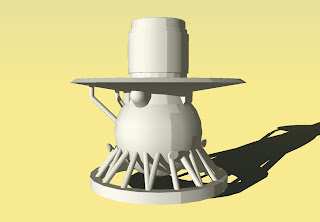 It's based on Venera 9 with the surface lights, although not 100% accurate. 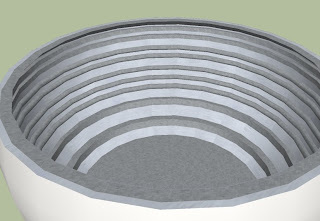 Also, here's the landing sphere (bottom portion). The lander enters the Venusian atmosphere inside it.